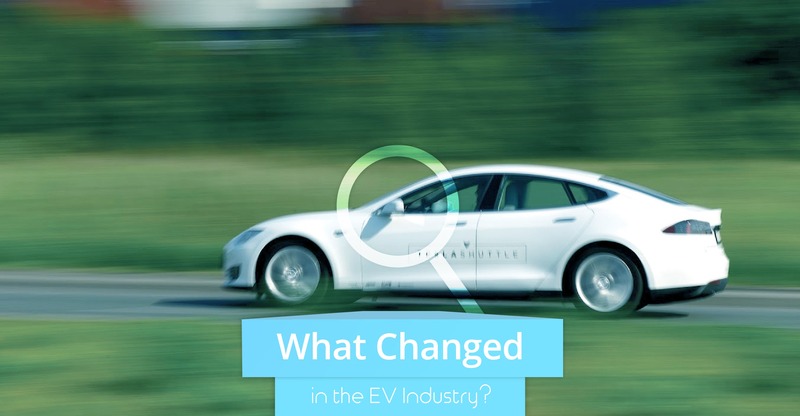 The electric vehicle (EV) industry was booming in 2018. It was the most booming year of a booming decade for EVs. Below is a long, long rundown of notables changes in the industry in 2018. For convenience and to not specifically favor any companies, in each section, news is organized alphabetically. ABB launched a new 350 kW charging station at Hannover Messe. ABB launched a new 24 kW charging station at eMove360. Amsterdam Airport installed 100 fast chargers for a new electric airport bus fleet. Audi, Amazon, Electrify America, & Arcadia Power teamed up for an EV charging collaboration. BP snapped up UK electric vehicle (EV) charging network Chargemaster. BP put $20 million into ultra-fast-charging battery company StoreDot. BYD joined the CharIN EV charging standard association. Centrica invested millions of pounds into Driivz. CHAdeMO & Chinese officials started working to create an ultrafast CHAdeMO charging standard in the country. ChargePoint introduced Waitlist, to let EV drivers get in line digitally to charge at a charging station. ChargePoint & EVBox partnered for roaming access in the EU and North America. ChargePoint & Greenlots started teaming up in the US in a similar way. ChargePoint snapped up fleet energy management software producer Kisensum. ChargePoint raised another $240 million. CleanTechnica (that’s us) launched a new report on EV charging guidelines for cities. CleanTechnica (again, that’s us) also published a report on the state of EV charging. ClipperCreek started offering a new commercial and residential EV charging station. ClipperCreek also started offering factory-certified pre-owned charging stations. Delta Americas & GM announced they were working on extremely fast EV charging technology — 180 miles in 10 minutes. Duke Energy announced plans to roll out 530 new EV charging stations in Florida. Electrify America kicked off, and then Electrify America’s second phase of a 4-stage electrification plan kicked off in California. Electrify America & EVgo started installing ultra-fast chargers in California. Electrify America announced installation of 100 EV fast chargers at Walmarts across the country, and apparently has over 100 other retail, convenience, & refueling location partners for it EV station buildout. eMotorWerks unveiled a new line of smart EV charging tech for networks. eMotorwerks launched a 30 megawatt virtual energy storage battery to work via its EV charging stations and associated batteries in California. eMotorWerks, Honda, & Southern California Edison partnered on an innovative new smart charging program to let drivers charge with renewable energy and at low prices. Enel & LO3 Energy teamed up to connect eMotorWerks’ aggregated EV charging platform to one of LO3’s energy markets and let drivers charge with renewable energy. EVgo and GM’s Maven signed an agreement to have EVgo create a dedicated EV fast charging network for the carsharing service. EVGo & Nissan opened the I-95 Fast Charging ARC, connecting Boston and DC with fast charging stations. EV Safe Charge introduced the first portable EV fast charger we’ve ever read about. Fastned and REWE started piloting EV fast charging stations at supermarkets in Germany. Fastned made new deals in Sunderland and Newcastle in the UK, further expanding beyond its home country of the Netherlands. Fortum Charge & Drive acquired Plugsurfing. Google Maps updated its app to include an EV charging feature. Greenlots and Volvo Trucks started collaborating on charging infrastructure for heavy-duty electric trucks in California. GreenWay launched its first “GridBooster” EV fast-charging station with battery backup in Central & Eastern Europe. GreenWay secured its first locations for superfast/ultrafast EV charging stations in Central & Eastern Europe. Hubject also partnered with ReCharge to enable EV charging at public charging stations without the need for RFID cards. Kraftwerke & Jedlix teamed up on a smart EV charging pilot focused on demand-response solutions forming a virtual power plant. Lucid Motors selected Electrify America as its charging network provider. Nissan received vehicle-to-grid approval in Germany. North Vancouver passed a requirement for EV charging capability (wiring) in all new residential parking spots. The Ohio PUC approved a $10 million EV charging infrastructure plan. OVO Energy unveiled a vehicle-to-grid smart charger in the UK. Porsche launched its fast charging network for the US to great fanfare. The network will include at least 500 fast chargers throughout the country by the end of 2019. Porsche announced plans to install 700 EV fast charging stations at locations around the world. Proterra announced a new line of EV charging stations for fleets. Radisson Blu & Tesla partnered to offer free Tesla charging while you stay at any Radisson Blu hotel. Shell Ventures invested $31 million into Ample. Sweden launched an electrified road EV charging pilot project. Target announced plans for 600 EV charging points at 100 sites over the next two years. Telekom, a German telecommunications corporation, launched an EV charging initiative that is supposed to grow to 12,000 public EV charging stations! Tritium announced it aims to bring 475 kW ultrafast charging stations to gas stations via investment from Gilbarco Feeder-Root. 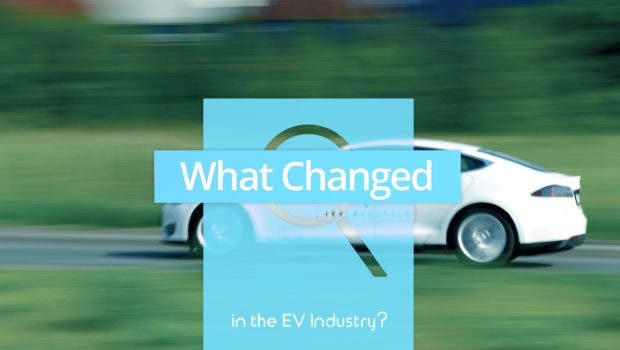 The UK enacted forward-looking legislation regarding EV charging and autonomous vehicles. UPS is moving towards full electrification of its London delivery fleet, but the key there is a reliance on stationary storage to buffer EV charging demand. Volta Charging raised $35 million in funding for further growth and development. Wallbox, a Spanish company, rolled out an industry-first home EV fast charger. Xcel Energy, a Minneapolis-based utility, “announced plans to invest more than $25 million in support of electric vehicles (EVs),” largely via charging infrastructure. A123 invested in solid-state battery development alongside Ionic Materials. Audi & Umicore announced they are developing closed-loop battery recycling. Audi was reportedly hit with a 10% price increase on LG Chem batteries due to high demand for batteries in the industry. BMW Brilliance Automotive (a joint venture of BMW and Brilliance China Automotive Holdings) got construction rolling for a battery factory expansion in China. BMW & Northvolt teamed up to set up end-to-end EV battery recycling. BYD powered up a new 24 GWh battery factory in China. BYD’s California factory for electric buses and batteries started a 100,000 sq. ft. expansion. CATL reportedly cut a deal with Renault and Nissan to try to ramp up the battery production those companies need for their increasingly popular electric offerings. CATL shared that it will be building a battery factory in Germany for BMW and Volkswagen electric vehicles. Energy Absolute announced that it is building a 1 GWh factory in Thailand that could grow to a capacity of 50 GWh. HOPR, an electric bike producer, unveiled a new offering with a portable power pack (battery) that can be used either to power the bike or charge your electronic devices. Hyundai & Wärtsilä partnered to turn used EV batteries into stationary battery storage systems. LG Chem raised its 2020 battery production target 29%, from 70 GWh to 90 GWh. LG Chem jumped into two new joint ventures with China’s Zhejiang Huayou Cobalt to secure more cobalt supplies. Nemaska Lithium got a CAD$99.1 million investment from SoftBank for ~9.9% of the company. SK Innovation announced it would build an EV battery factory in the US state of Georgia at a projected cost of $1.67 billion. Volkswagen Group announced plans to invest $25 billion into buying batteries and associated components from three global battery manufacturers — Samsung SDI, LG Chem, and Contemporary Amperex. Volkswagen CEO Herbert Diess later told investors that the company had signed battery orders totaling $48 billion. Waymo-related: an independent engineer got 53 of 56 Waymo patent claims blocked regarding its 936 patent, a major point of IP conflict between Waymo and Uber. Overall, EV battery production fell quite a bit behind demand, so there was much focus on ramping up production capacity throughout 2018. Additionally, digging into the guts of EV batteries, EV Volumes showed how EV battery chemistry has been shifting over the past several years. Generally, there’s been a lot of recent progress moving toward low-cobalt EV batteries. Christopher Arcus dug into the shift toward NMC 811 batteries for us, for example. I also spoke with various experts to explore if cobalt is an imminent, existential threat to EV revolution. Austria rolled out an interesting incentive for EVs — higher speed limits. Brazil signed on for a BYD SkyRail project. The planned route actually runs over the ocean a bit. That would be a train to ride! California launched a new $738 million electrification initiative at the end of May focused around EV charging infrastructure and delivery vehicles. “Pacific Gas & Electric, which serves the San Francisco Bay area, will invest up to $236 million in infrastructure, including $22 million for 234 DC fast chargers at 52 locations within its service area. There will be rebates available for up to 6,500 medium- and heavy-duty electric vehicles, such as trucks, cranes, and forklifts at 700 commercial and industrial sites. “San Diego Gas & Electric will parcel out $137 million in rebates and installation reimbursements for up to 60,000 customers so they can charge electric vehicles at home, whether home is a single family house or a small multi-unit dwelling. China released new electric car regulations that will heavily shape the world’s electric car market. The new rules include eliminating the country’s “50-50 rule” by the end of 2018 for foreign manufacturers who manufacture new energy vehicles (essentially, battery electric or plug-in hybrid cars). That means that they can actually sell cars there without a hefty fee or 50% ownership by a Chinese company. China issued licenses to SAIC & NIO to allow self-driving vehicle testing on public roads (the first in China). Colorado passed a new low-emission vehicle standard, and we got more info via an exclusive interview. Germany just announced that electric trucks will be exempt from truck tolls from the 1st of January, 2019. “The change would result in a net savings of around €5,000 per vehicle, depending on the routes used,” the reporting indicates. Greater Springfield in Queensland, Australia & ENGIE announced that they signed a 50-year strategic alliance to help make the city a zero net energy city by 2038. London and Paris agreed to trial some electric UPS delivery vans to clean up their air and help cut CO2 emission. We expect that the trials will go well and Paris and London will be looking for more electric vehicles soon. London launched an autonomous pod pilot. Netherlands passed a new climate agreement that included financial support for electric cars. Ohio Governor John Kasich asked Elon Musk to build a gigafactory in his state and save the Lordstown Assembly Plant that GM could no longer cover. Presumably, Ohio would provide some goodies to entice Tesla. Paris launched the world’s largest electric bike fleet. Paris also took up a leadership role in electric mass transit by ordering 1,000 electric buses as part of a goal to have a 100% zero-emissions transit fleet. Will this finally kick off 1000+ orders of electric buses in cities outside of China? Quebec announced a plan for rolling out much more EV charging infrastructure. Sacramento got electric carsharing via VW settlement funding for its diesel emissions scandal. Santa Monica took a unique approach to supporting little EVs by creating in-street e-scooter drop zones. Shenzhen officially electrified its entire bus fleet — more than 16,000 buses. (Electric buses were sipping across China, though, not just in Shenzhen. The next step for Shenzhen, increasingly electrifying through 2018, was delivery and freight vehicles. Texas rolled in a $2500 rebate for fully electric and plug-in hybrid electric vehicles. UK decided to go backwards and cut incentives for fully electric cars and plug-in hybrids. Also, Republican Senator John Barrasso (R-WY) proposed killing the US EV tax credit. Whereas, a coalition of Tesla, GM, Nissan, and others formed for a push to improve the US EV tax credit. 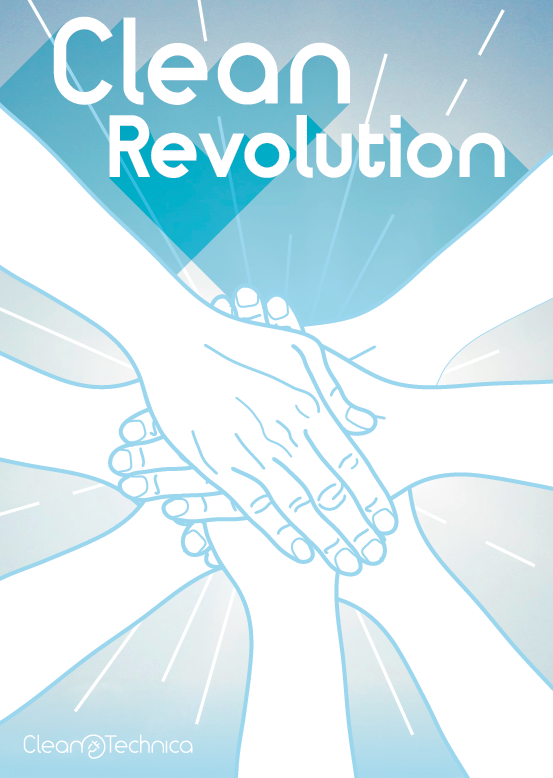 Lastly on this topic, CleanTechnica launched a new Clean Revolution political campaign to help get cleantech leaders elected to political office. Stay tuned for more on that. California: reached 10% EV market share in one month. China set a new electric car sales record in August (reported in September), and then set a bigger sales record in September. And then again and again and again. France: The Renault Zoe brought the French EV market to new heights. Netherlands: The Jaguar I-PACE was the #1 top selling vehicle (of any powertrain) in the country in December, and the Tesla Model S was #2. Norway: The Nissan LEAF was the best selling car (of any kind) in the country for the entire year, and more than 31% of all new cars registered were full electrics. USA: On the back of the Tesla Model 3, US electric car sales reached a new monthly sales record in the US in December. 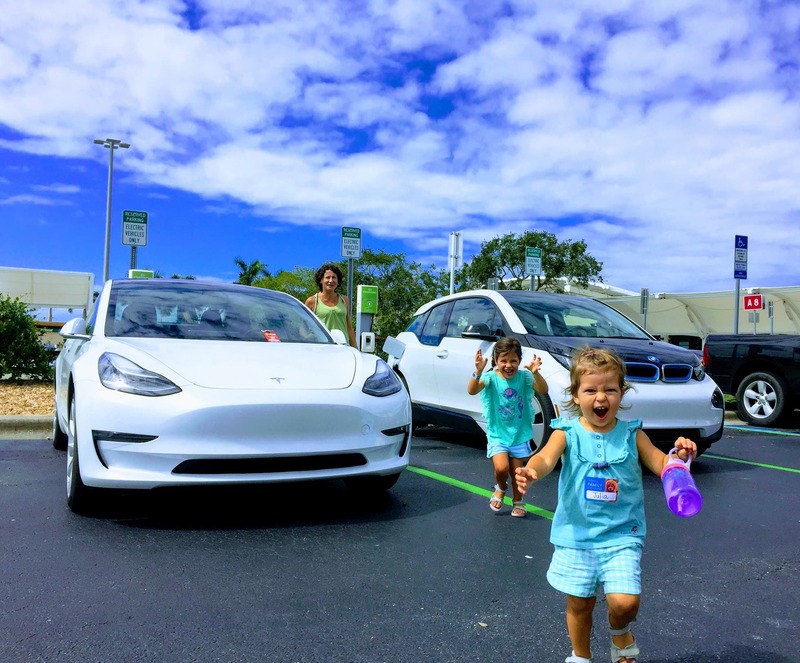 USA: The Tesla Model 3 and Tesla as a whole broke record after record in various segments of the market, including becoming the best selling car in the US in terms of revenue since August. Oh yeah, and I got to chat with Elon Musk. Airbus Zephyr S, a solar-powered airplane, set a world record by staying aloft for 26 days. Alibaba & Foxconn led a $347 million funding round for EV startups. Alta Redshift EXR electric motorcycle was rolled out. Alta Motors then closed its doors a few months later. Angela Merkel put pressure on German automakers to electrify faster. Audi e-tron made it across the Atlantic to the USA, and so did various specs for the long-awaited model. Audi kicked off electric motor production at a factory in Hungary. Blue Bird delivered its first electric school bus in North America. BMW indicated it is pushing back its EV mass production target due to EV mass production not being profitable before 2020, according to the company. BMW unveiled its iNext … thing. The new BMW i3 got rated at 153 miles of range. BMW partnered with GM, IBM, and Accenture to launch a new blockchain initiative dubbed the Mobility Open Blockchain Initiative (MOBI). The initiative is focused on using blockchain for automotive applications. Boeing and the Japan Aerospace Exploration Agency announced they are working on lidar systems for electric flight. Bollinger B2 electric pickup details rolled out. Bosch launched an electric van-sharing service in Germany. Bosch introduced an eCityTruck electrification solution for light commercial vehicles. Brightline’s fast train service opened between Miami, Fort Lauderdale, & West Palm Beach in Florida. The Brightline train is privately operated. BYD landed a deal for 200 of its electric garbage trucks for the city of Indaiatuba, Brazil. But the bigger electric garbage truck orders came in China, where BYD landed orders for 500 of them from two Shenzhen companies. Shenzhen is BYD’s home base. BYD launched a new electric bus model in Brazil. BYD slid into autonomous vehicles a bit with the special-edition Qin Pro. BYD introduced two new electric tug offerings. Byton, an EV startup out of China, secured $500 million in Series B funding. Byton then unveiled the K-Byte & M-Byte in North America, at the Pebble Beach Concours d’Elegance. Byton & Aurora teamed up to test autonomous cars in the USA. Chery started sneaking Chinese electric cars into Europe. Chrysler announced that the Portal electric minivan will be produced in 2020. Cora, Larry Page’s self-flying air taxi, took to the skies in New Zealand. DAF Trucks announced it partnered with VDL Groep on a fully electric Class 8 truck. Daimler & BMW moved to merge car2go and DriveNow — in some way. Around the same time, Daimler purchased Europcar’s 25% stake in Car2Go. Daimler started offering its Mercedes-Benz eSprinter, an electric delivery van. Danish brothers set a new 1/4 mile electric doorslammer world record. Didi Chuxing announced it is starting an electric carsharing getup. Dyson announced it is putting $150 million into an electric car test track at Hullavington airfield. Dyson announced it was about to start construction on a Singapore electric car factory that would be producing cars by 2021. The e.GO Mobile — an EV startup based in Aachen, Germany — said that delivery of its Life no-frills EV would begin in April 2019. Equator Aircraft’s P2 Xcursion electric-hybrid seaplane prototype took its maiden flight. Faraday Future came back from the ashes with $2 billion in financing to keep its EV dream alive. Faraday Future then got an $854 million cash infusion from Evergrande Health for 45% of the company. Ford announced an $11 billion investment in electrified vehicles — 40 electrified models by 2025. Ford acquired dockless electric scooter startup Spin. Ford also started production of DHL StreetScooter Work XL electric delivery vans in Germany. Geely, which owns Volvo Cars, bought nearly 10% of Daimler. Oddly, Daimler turned around and bought a 4% stake in a different Chinese auto giant, BAIC. Geely-owned LEVC started delivering its electric taxis. GM announced it would close 5 assembly plants in North America, including one that produces the Chevy Volt, and also eliminate 15,000 jobs … but the move may be part of a decision to get more serious about EVs. GM’s Mary Barra introduced a sneaky little National EV Mandate proposal. Henrik Fisker discussed plans of a $40,000 EV with long range and superfast charging. The company also plans to have a fully autonomous shuttle in service in the US in 2019. Honda announced that it’s bringing back the Fit EV, but this time giving it a single-charge range over 100 miles (186 miles or 300 km on a presumably non-EPA rating system that is absurdly unrealistic) and a price tag under $20,000. Thing is: not many of the cars will be produced, they’ll just be available for lease, and they’ll be available in only a few US states on the New Continent. Honda invested $2.75 billion into Cruise Automation. Hyundai Kona EV got a stunning 258 mile range rating from the EPA. Hyundai Kona EV landed a whopping 7,000 orders in Norway in just two weeks on the market there. Hyundai & Kia invested $250 million into Southeast Asia’s Grab and are working together to maximize cost efficiencies for Grab’s driver-partners … via EVs. Hyundai & Aurora announced they have teamed up on Level 4 autonomous vehicles. IKEA announced that it plans to have emissions-free deliveries in 5 cities by 2020. Infiniti was developing a fully electric car platform, which is based around its Q Inspiration Concept. Jaguar will offer electric conversions of its XK-E roadster. Jaguar said it is investing $18 billion into electric drivetrain development in the next three years. Jaguar’s I-PACE was officially unveiled, with pricing for the Jaguar I-PACE put at a cool €82,000 in Europe or $69,500 in the US. And then deliveries began. Jaguar Land Rover invested in startup Arc, which sells $100,000 electric motorcycles. Kandi is reportedly going to bring its cars to the US, starting with the K22 subcompact and the EX3 compact SUV. Pricing for the small guy starts under $20,000. Kia finally took the covers off of the Kia Niro Electric (aka e-Niro) and its specs, an attractive looking electric SUV that is sure to have much more consumer demand than Kia is able to quickly supply (due to battery constraints). Kia also started selling the e-Niro in South Korea. Kreisel Electric introduced an automated 2-speed electric car transmission. Lightning Systems introduced an all-electric Ford E-450 cutaway & shuttle bus. Lightning Systems is also electrifying smaller Ford Transit vans, and deliveries got rolling in 2018. Lucid Motors got a $1 billion investment from Saudi Arabia. Lynk & Co revealed its Lynk & Co 01. Magna and Beijing Electric Vehicle Company (a subsidiary of Chinese auto giant BAIC) announced a plan to build electric cars together in China. Yup, another major auto company is growing tentacles in China. MAN introduced a 26-tonne electric truck based on TGM. It showcased other electric vehicles at the the IAA Commercial Vehicles 2018 show as well. May Mobility, a Michigan-based low-speed autonomous shuttle service operator, added two new routes in Columbus and Grand Rapids, Michigan. Mercedes-Benz unveiled its fully electric EQC SUV — reportedly 450 km of range. Mercedes-Benz Vans introduced the autonomous URBANETIC Flexible Mobility Concept. New Flyer benefited from Canada’s largest electric bus order in history, winning a contract to provide 40 electric buses to Montréal & Laval. NIO also announced and started rolling out battery swap stations for NIO drivers in China. And NIO had an initial public offering (IPO). Nissan’s new edition of the Nissan LEAF collected over 20,000 orders in Europe before deliveries began. Nissan (or Infiniti) started targeting production of a $45,000 electric SUV, according to a scoop CleanTechnica gathered. Nissan started taking orders for its 40kWh e-NV200 electric van, offering a bit more range for those in need of an electric delivery van. Nissan & DeNA started robotaxi service on March 5. Nissan–Dongfeng joint venture started producing the Sylphy Zero Emissions (Chinese LEAF) in China. Nissan’s longtime Chairman & CEO Carlos Ghosn, an EV leader, seemingly got pushed out of Nissan via a head-scratching fandango or coup that doesn’t make much sense to those on the outside. Nissan launched Nissan Energy Solar in the UK. Nissan also started using 2nd life batteries from its EVs in energy storage solutions. Nissan started using vehicle-to-grid tech to help power US operations. Ola, an Indian on-demand taxi service, announced it is adding 10,000 electric three-wheelers to its fleet over the coming year. Porsche’s Taycan will start at $92,000, and the Taycan Turbo at $130,000. Porsche also bought a 10% stake in noted Croatian EV startup Rimac Automobilii. Port Liner, a Dutch company, introduced an autonomous electric barge. Protean Electric & LM Industries partnered to produce some cool little self-driving electric cars. Proterra closed a $155 million financing round that was led by Daimler and Tao Capital. Proterra & Daimler teamed up to manufacture electric school buses together. PSA Group, after its split with GM, announced that it is creating an electric vehicle division to try to finally jump into the 21st century. PSA said all of its models would be electrified by 2025. Renault opened up its first EV Experience Centre, a concept EV store for the future. Renault Zoe made it to Australia, finally. Rivian unveiled the RS1 and RT1. Production is supposed to start in 2020, and you can put down $1,000 reservations today. SF Motors splashed onto the scene in California after years under the radar, unveiling the SF5 and SF7. StreetScooter opened up a second factory in Germany for the production of it electric delivery trucks. Subaru finally joined the plug-in game and announced the Subaru Crosstrek PHEV. Will Subaru sell a ton of these? Almost certainly not. Will it meet fuel-economy regulations that are required in order to sell other vehicles? Sure. Is it an attractive car? Yeah … but it could be much better if Subaru was keen to lead rather than trail the pack. Tropos Motors rolled out a new lithium-ion battery pack for its vehicles that quadruples the range and delivers increased safety for customers. Uniti opened an R&D center in the UK. UPS launched a first-of-its-kind urban electric delivery cargo bike. UPS started testing electric heavy-duty trucks from Californian startup Thor. UPS also placed an order for a whopping 950 Workhorse N-GEN electric delivery vans. I just had to double check, but that’s right — 950! Vespa finally commenced production of an electric scooter. Volkswagen Group announced plans to electrify versions of all 300 of its models by 2025. Volkswagen indicated an intention to produce 10 million vehicles on its MEB platform and that the ID would come with 3 different battery sizes and start at a price under $30,000. Volkswagen also announced plans for 16 new electric car assembly plants, 1 of which is planned for North America. Volkswagen announced it will manufacture electric cars in the United States. Volkswagen will also offer the market electric vehicles for carsharing via its WE service — starting in Germany in 2019 and then expanding to large cities in Europe, North America, and Asia. Volkswagen started converting the Zwickau automotive plant to produce electric vehicles. A Volkswagen exec said that VW was working on its last vehicle platform for vehicles that aren’t carbon neutral. Volkswagen started building its first fully electric car factory, just outside of Shanghai in China. Volkswagen sold 1,600 electric trucks to Ambev Brewery in Brazil. Volkswagen launched a new electric carsharing program in Berlin, Germany — We Share. Volkswagen & Ford reportedly agreed to start partnering on electric and autonomous cars. Volkswagen launched its first Chinese EV in partnership with Chinese joint venture buddy JAC … and it’s basically just a rebadged JAC iEV7S. For a deep dive, check out our China expert Tim Dixon’s take on the car. Volkswagen & Apple teamed up on autonomous cars. Match made in heaven or recipe for disaster? You decide. The partnership is starting small: “after years of trying to interest Mercedes and BMW in building a self-driving car featuring Apple software, the company has settled for converting Volkswagen T6 vans into semi-autonomous vehicles to shuttle Apple employees between campuses.” However, one would presume both companies are wondering whether they should really ramp up the partnership and compete with Waymo, Uber, Lyft, etc. Volkswagen Group & Aurora announced a partnership on autonomous driving. Volvo Cars & Baidu teamed up to produce fully electric and autonomous cars together. Volvo shared that it will release fully electric versions of the V40 and XC40. Volvo announced it wants to sell you electric garbage and delivery trucks. The Volvo FE Electric and FL Electric will both be available in Europe in 2019. Waymo partnered with Walmart & 4 other companies for self-driving taxi service. Waymo’s Jaguar I-PACE vehicles started hitting the streets of San Francisco. Waymo indicated that it’s a fan of the Chrysler Pacifica Hybrid (the only plug-in hybrid electric minivan on the market), putting its name down for perhaps 62,000 more of these minivans. Waymo opened an office in Shanghai. Westbeck Capital, an oil-focused hedge fund launched a new EV hedge fund. WM Motor, a Chinese EV startup, raised a further $288 million. Workhorse opened up public orders for its W-15 electric pickup truck in the US. UPS noted that the truck is cost-competitive with conventional trucks even without subsidies. Workhorse started putting its autonomous delivery drones to work. Xiaopeng Motors (Xpeng) raised $1.6 billion to help in its efforts to become the Tesla of China, with a special boost coming from giants Alibaba & Foxconn. Xpeng started selling its G3 electric SUV in China. Zunum partnered with Safran to create hybrid-to-electric airplanes. Additionally, over in China, numerous electric cars were introduced at the Guangzhou Auto Show in China. Last of all, recall that we published these two reports: Electric Car Drivers: Demands, Desires & Dreams (2018) and The EV Safety Advantage (2018).